We withdrew him from his current elementary school in Tallahassee and began to homeschool him while in CA. We were there through June, then returned home to Florida for a few weeks. 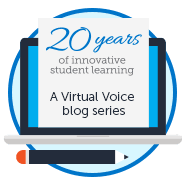 At that time, we decided to enroll in FLVS so he would have more “structure” to his schooling and the advantage of teachers and classroom-like lessons. FLVS has been great for Zac and his crazy filming schedule. We travel between Florida, Los Angeles, and Atlanta where he is currently filming the remainder of Season 2 of Finding Carter, a drama series on MTV. He plays the role of Grant Wilson. 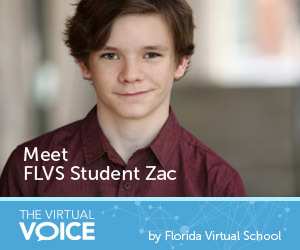 With FLVS, Zac can do what he loves, living out his dream of being an actor and continuing with his schooling. We are so grateful for the teachers who have been so supportive. They always ask about how things are going for him in the acting world during our monthly calls. Now heading into the 8th grade, Zac is an Honor Roll student. His dad and I are very proud and looking forward to seeing what the future holds for him. Thank you to FLVS for your continued support and offering such great classes. He has been able to take some fun subjects such as Guitar and Outdoor Education in which he received his Boater Safety License! This post was written by Zachary’s mom and Florida Virtual School parent, Michelle Pullam. 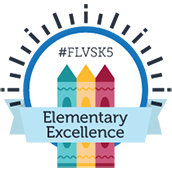 Do you have a story to share about your FLVS student? Send us an email with all of the details at socialmedia@flvs.net. This entry was posted in Homeschool Edition, Student Edition and tagged Acting, Determination, Extracurriculars, Goal Setting, Goals, Motivation, Parent Voice, Student Accomplishments, Student Achievements, Student Actors, Student Athletics, Student Spotlight, Student Success, Student Trends, Student Voice on September 11, 2015 by Guest Blogger. Congrats on your role in Finding Carter! Browsing through the FLVS site, I came across you. What is really awesome is that my mom and I are doing the same thing that you and your mom did! You have inspired us and put our mind at ease about being able to pursue my home school education and my acting career at the same time. Keep up the great work Zac!! !